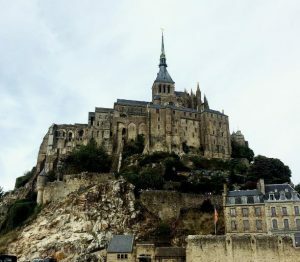 Mairi from the Canvas marketing team recently enjoyed a short break in Brittany, read on to find out what she got up to in the beautiful French region. I was lucky enough to catch the last of the summer sunshine on a long weekend in France at the end of September. When I arrived on Friday afternoon I headed straight to Domaine des Ormes in Dol-de-Bretagne, one of the most popular Canvas campsites in France. The site is situated on the grounds of a beautiful 16th century chateau, and although I visited during low season, there was still plenty to do for everyone, including walks through the immaculate grounds, horse riding, bike rides and golfing. 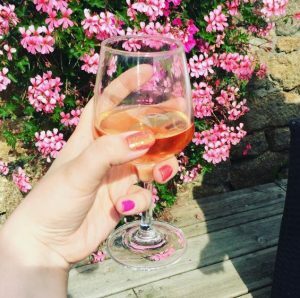 I enjoyed a glass (or two) of wine in the sunshine outside the old watermill, which has now been converted in to a bar and restaurant, and watched the world go by. 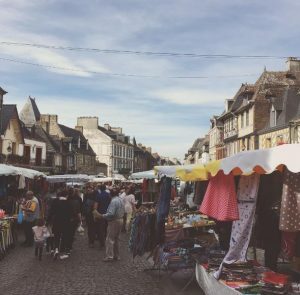 One of my favourite things to do wherever I am on holiday is to visit a market, so on Saturday morning I went to the popular market in Dol-de-Bretagne. The atmosphere was brilliant, and it felt more like a social occasion than a shopping trip; with families and friends meeting up for lunch in the nearby cafes or fresh seafood and saucisson from the stalls. The market was a great way to become immersed in the local culture and to find some great bargains! On Saturday afternoon I took a trip over the border to Normandy to visit Le Mont St Michel. The island fort is a must-see for anyone visiting the area. Busses run frequently from Rennes and Dol-de-Bretagne, or for those with a car there is a large car park nearby which runs a free shuttle bus out to the entrance of le Mont. It really is a spectacular sight and you can feel the history surrounding you as soon as you step within its walls. A top tip, visit at night to see the Mont lit up, and try not to get goosebumps! There is no shortage of beautiful coastline in Brittany, and I headed along to Cancale beach on Sunday morning to take some of it in. 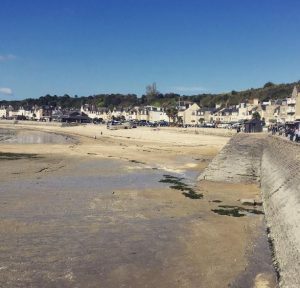 Cancale is known as the oyster capital of Brittany, so it’s no surprise that there are several fantastic seafood restaurants to choose from. From Cancale, I headed west to the walled port city of St. Malo. I spent the afternoon shopping in the boutiques, followed by a wonderful lunch and the biggest piece of cake I’ve ever seen from restaurant Timothy! I then walked off that cake with a jaunt around the top of the perimeter walls, which is a great way to take in the views of the port and the old town. So although I may be back in not so sunny Scotland now, I’m daydreaming of Brittany; its fantastic food, rich history and beautiful coast. If a gorgeous coastline, fine cuisine and leisurely lunches captured your attention, find out more about holidaying in Brittany on our website.